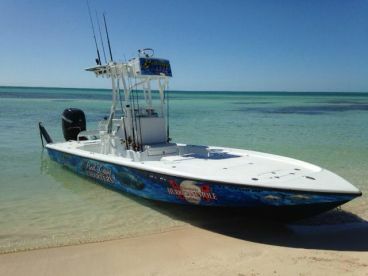 Florida Keys are primarily known for the fantastic sportfishing that bring in a huge number of anglers every year. 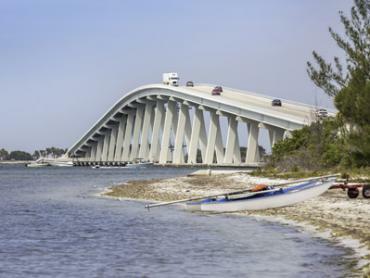 That’s not to say fly fishing Florida Keys is a waste of efforts. Quite the contrary, in fact! These are some of the best fly fishing grounds in the country, especially if you’re going with an experienced charter captain. 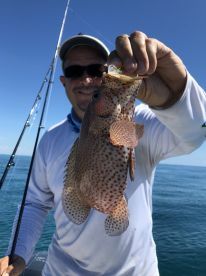 What can you expect from a fly fishing trip in Florida Keys? Most of the best fly fishing ‘round these parts is done in shallow water that easily lends itself to sight fishing. The variety of species present provides you with the opportunity to use different types of gear as well as flies. Successfully getting the better of a Tarpon, Permit, and Bonefish will net you what’s called a Florida Grand Slam. 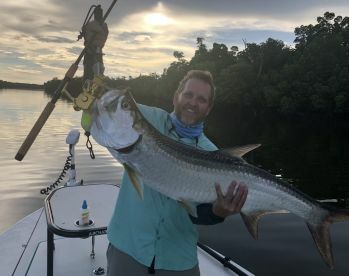 You can also fish for the likes of Snook, Redfish, and other species too, depending on where and when you book your trip. 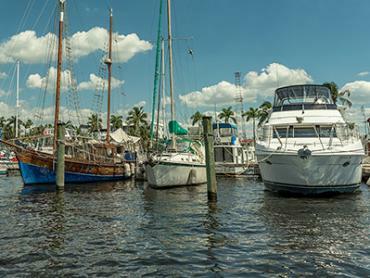 For example, Redfish and Trout fishing is best in the Everglades during the colder months. 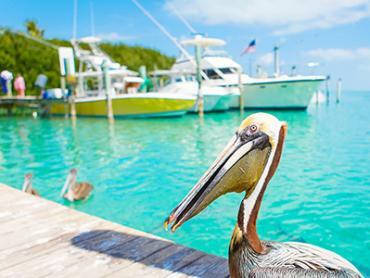 Key Largo is a perfect option for first-time visitors, as well as those unsure where to make their first stop. 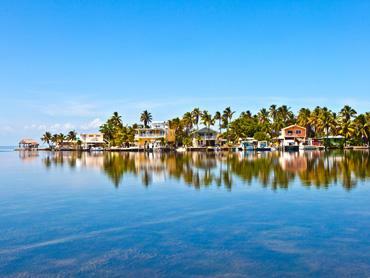 Plus, if you ever get tired of fishing the flats (which is very unlikely), you can drop by the Everglades National Park that’s just a short ride away. But you can have an amazing time elsewhere too. Big Pine and Cudjoe Key are the places to go for anyone bent on getting a successful Grand Slam. 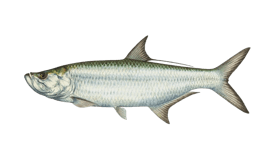 Tarpon season peaks in April and May, so keep that in mind if you want to dance with the Silver King. Tarpon, especially big ones, will require somewhat heavier tackle than the other species here. A 10 weight rod is the bare minimum here, and you’ll be using a 12 if you’re going after big boys on a windy day. A clear sink tip line is a key piece of equipment needed for an outstanding Tarpon trip. Successful or not, you’ll still get to see a Tarpon doing some crazy acrobatics, which is noteworthy by itself. Bonefish are not as big, but can be counted on to put up quite a fight. 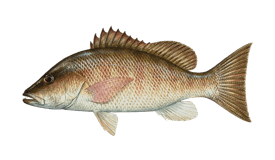 They can be caught year-round, and it’s the catching part that will take some time and effort. A crucial tip for successful Bonefishing is that you should always cast from the side. 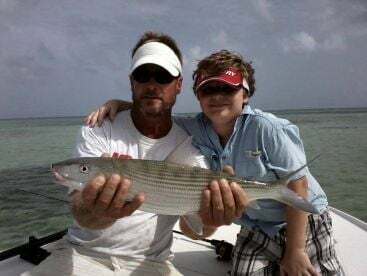 Casting over a Bonefish is likely to spook it and leave you empty-handed. They don’t require Tarpon-grade gear, so you’re good to go with a 9 weight rod in most cases. Any and all fans of wading can feel free to bring their waders along, as there are plenty of places where wading’s a good option. 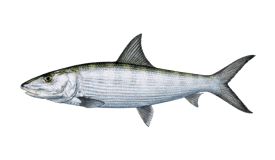 While you’re in the Keys, please bear in mind that Tarpon, Bonefish, and Permit are strictly catch and release species. 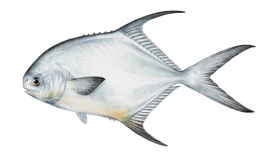 Also, if you’re not fishing with a charter service, you will need to get your hands on a Florida fishing license. Finally, don’t forget to have fun on the water, that’s what it’s all about!